Local theaters used to anchor nearly every neighborhood in town. Just a couple of generations ago, most neighborhoods had a movie house all their own, like the Esquire in Clifton, or Mariemont Theatre. The buildings had one or two screens and a few show options—maybe even first run—on the marquee. You could walk to one from practically any part of the city. Downtown was full of them. The Albee stood on Fountain Square from 1927 to 1977. Cincinnati Museum Center. Cincinnati History Library & Archives. General Photos. The Albee Theater (exterior). Most of these movie houses—or movie palaces if you’re talking about the almighty Albee Theater on Fountain Square—are long gone, demolished to make way for office buildings or parking lots in that Atomic Age rush to scrub the postwar world clean. Chains replaced small independent theaters, becoming homogenized, big-box versions of their former selves. But all is not lost. Oakley’s 20th Century Theater, Covington’s Madison Theater, and The Redmoor are now concert and event venues. The City of Bellevue is seeking a developer to restore its 1942 Marianne Theatre. The Parkland Theatre in Sayler Park, which started as a vaudeville stage in 1881 (with trap doors! ), became a silent movie house in the 1920s and screens first-run films to this day. As for the closed theaters, some of the most striking are still standing, though in dire straits. The Mohawk district’s 1913 Imperial Theatre, with its distinctive marquee, is poised for restoration. 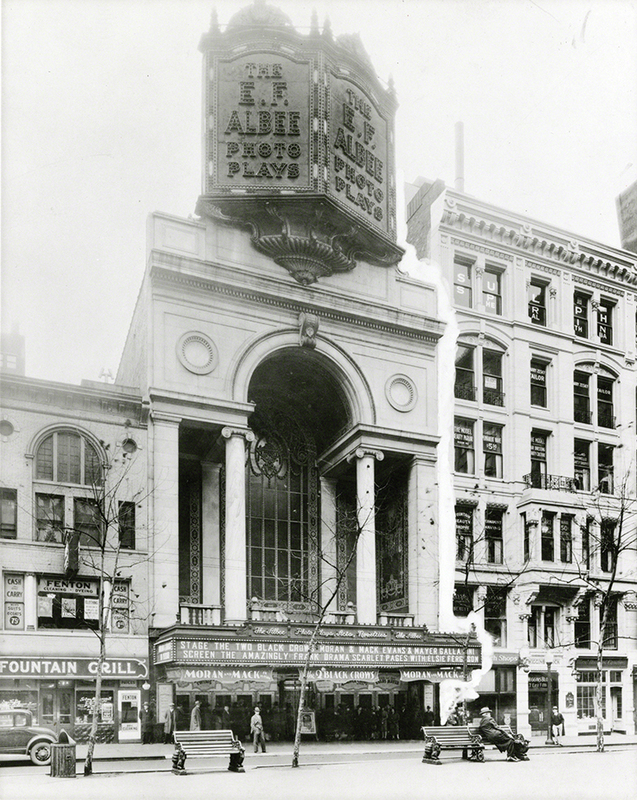 The West End’s Regal Theater, built in 1914 with an ornate corner dome, was closed in 1996. But the Hamilton County Landbank owns it, and is working to shepherd it through redevelopment. And, hey: it’s still zoned as a theater.